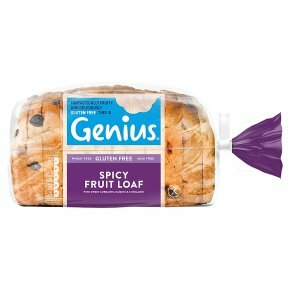 Fantastically fruity and deliciously gluten free. With sweet currants, raisins & cinnamon. Best enjoyed toasted. Great aroma. Low in sat fat. No artificial preservatives. Gluten, wheat and milk free. Suitable for coeliacs and vegetarians. This product is best served toasted. Remove all packaging place in a toaster for 1-2 minutes at a moderate heat. Appliances vary, these are guidelines only.